That rare thing nowadays, a seated gig, a respectful attentive audience but sadly no stage diving. Nottingham’s Glee club is mainly a comedy venue but it is also ideal for music due to its beautiful acoustics. 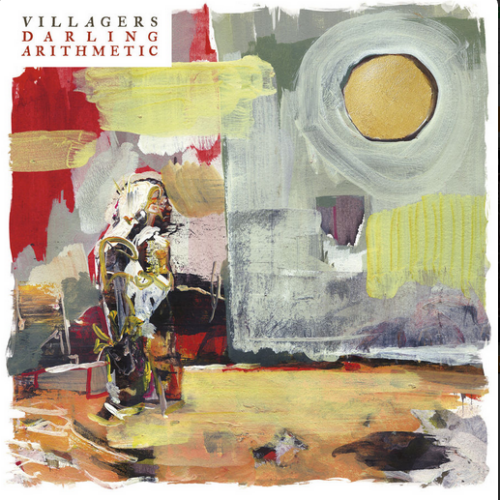 That is essential for a bill like tonight’s featuring the stripped back new album Darling Arithmetic from Villagers and the precise vocals of their creative force Conor O’Brien. 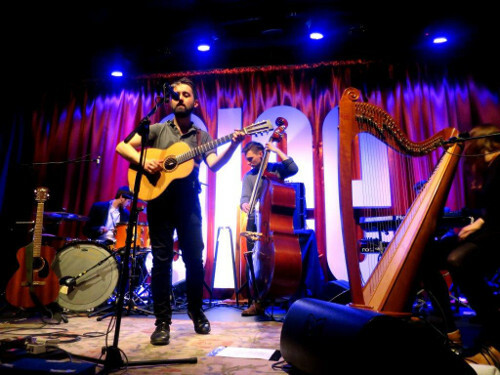 Villagers now have three albums under their belts and they continue to go from strength to strength, consolidating and refining their musical journey, which has already won them a devoted fanbase and one that continues to astonish the attentive listener. 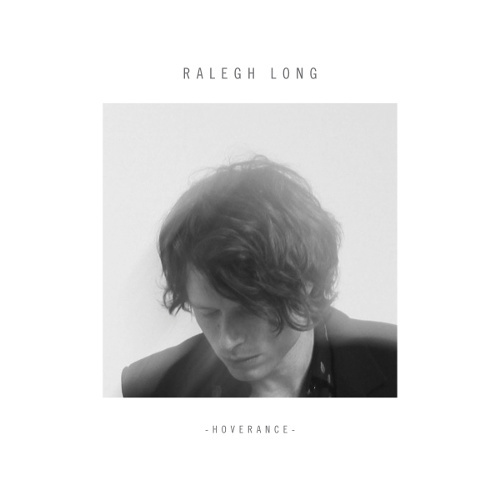 Rarely in the history of contemporary music has the delicacy of a perfectly enunciated vocal delivery and backed by exquisitely attractive semi acoustic instrumental passages been so perfectly well executed. The new album I feel is a polite guest in your house who underneath the calm exterior wants to swear at your Mum. It’s a love album, but also filled with the anger O’Brien feels at times as a gay man facing sexual intolerance in Ireland. Live O’Brien and band weave hypnotic, hushed tales of love, prejudice and loss, although they can also kick bottom at the drop of a hat. 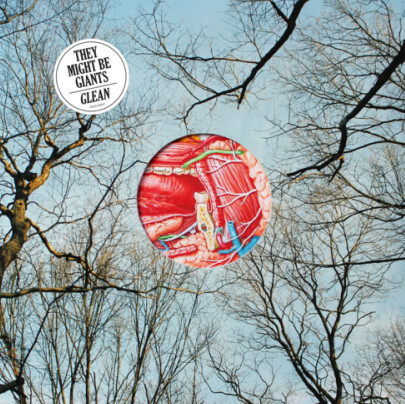 The Waves, from their second album Awayland (2013) for instance was given a lesson it will never forget; all strum and drums to the nth degree. Yet it’s the new songs that take centre stage and impress, the album is played in its entirety, opening somewhat nervously with the short title track and proceeding to mesmerize with Everything I Am Is Yours and No One To Blame, by the time they hit the wonderful So Naive they were cooking on gas. Darling Arithmetic is basically a solo effort but for the live shows Conor has surrounded himself in a sympathetic cocoon of instinctive and frighteningly adept musicians and on Little Bigot and Hot Scary Summer they are playing as one to such a degree the music attains that elusive and spiritually harmonic gestalt that Mike Scott of The Waterboys once described as the Big Music. 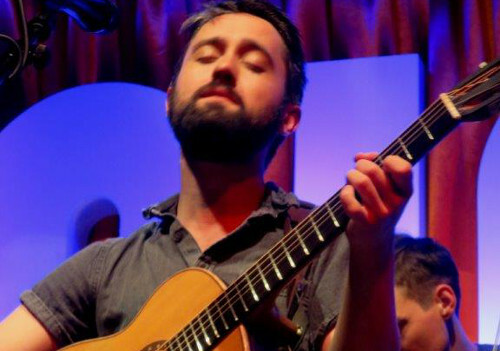 For the encore the band depart temporarily as Conor performs Ship of Promises and Becoming a Jackal solo, the audience is spellbound and hanging on every word of these two tracks from Villagers’ 2010 solo album Becoming a Jackal. The band return for a final flourish with a devastatingly honest Pieces, also from their debut album, as well as Courage, the lead track from Darling Arithmetic that closes a most intimate and powerful show. Darling Arithmetic, it’s fab, do the math. *Support this evening comes from Surrey born Luke Sital Singh, a tall bespectacled skinny guy with an incredible voice a most deft touch with electric and acoustic guitars, even venturing to the keyboard at one point to deliver a short intense set of depressing songs, his words not mine. All numbers were from his debut The Fire Inside and very good they were too, especially Fail For You. The last They Might Be Giants album in my home wasn’t for me, it was a present for my first child when he was born. 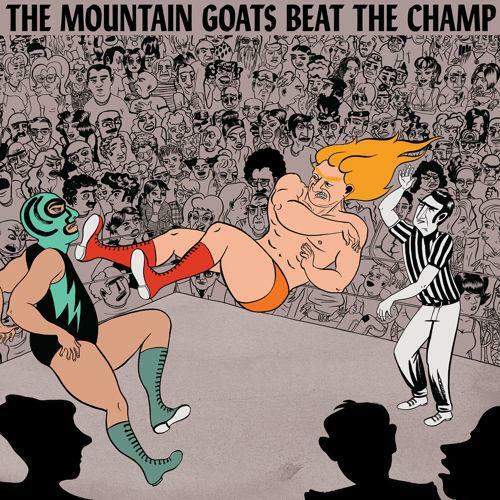 Called Here Come the ABCs it was an album that proved that the eclectic TMBG pair of John Flansburgh and John Linnell were masters of producing cool, catchy, educational kids songs as well as grown up pop. We know full well here at Neonfiller.com how during the 1980s and 1990s they produced some of the best and unusual pop music of the era, especially one of our Top 100 Albums of all time Lincoln from 1988 and the absurdly catchy singles Ana-Ng and Birdhouse in Your Soul. There’s more though, they have one two Gammys and back in 1983 trailblazed a new way of listening to music, offering there tracks through a dial-a-song phone service. More than 30 years later they have revisited and updated the dial up idea and throughout 2015 have been offering a song a week every Tuesday through smartphones, as well as online via www.dialasong.com and their Youtube Channel. To promote it a bit more and show what those of us who prefer to have a CD or record in our hand are missing out on they have pulled together 16 of these dial-a-song tracks so far for their latest album Glean. What is clear is that they have lost none of their charm and ability to defy genre, with songs about romance and prison all with instruments ranging from crunchy power pop guitars to squelchy synths and 1920s jazz. Is there another Ana-ng here? Well not quite, but the track Answer comes as darn close as its possible to be. So too does lead single Erase, which has a chorus that shows just how they have lost none of their keen sense of melody. Another highlight is Unpronounceable and the growers include the violin focused Music Jail Pt 1 & 2 and the excellent fun take on blues Underwater Woman. Special mention also goes to the surely Bonzo Dog Doo Dah Band influenced psychedelic jazz of Let Me Tell You About My Operation. For this They Might Be Giants fan it feels good to welcome their grown up music back into my home. There’s something so wonderfully precise about Villagers’ frontman Conor O’Brien’s voice. Each line is told with such clarity and on this, their third album, the messag O’Brien wants to convey is loud and clear; this is a love album and one made by a gay man from Ireland. That is clearly laid out on Hot Scary Summer. Yes there’s mention of the “homophobes” he and his partner encounter, but the real story here is that it’s a break up song. Two men in Ireland encountering prejudice together, only to break up. The overwhelming message here is heartbreak not sexual politics. Musically as well there’s a clearer sound, with Villagers first two albums feeling very much like full band affairs and crowded as a result. Here it is essentially just O’Brien, his guitar and some slight, added instrumentation. It works better as a complete album as well, with Becoming a Jackal and Awayland having great tracks but lacking consistency. Here for the first time O’Brien has delivered a consistent listen from start to finish with its similar pacing and romantic themes. There’s even some career high tracks to rival Becoming a Jackal’s standout Home. Here the opener Courage, just O’Brien and a gentle, simple strumming, reveals itself to be a pop song of sorts, with a melody that sticks with you long after the album has finished. After three albums O’Brien finally seems to have settled on a sound to do justice to his undeniable talent as a song writer. It was the closest Glastonbury Festival Emerging Talent Contest finals I’ve seen in three years as one of 40 music writers, who help sift through thousands of entries in the early judging stages. 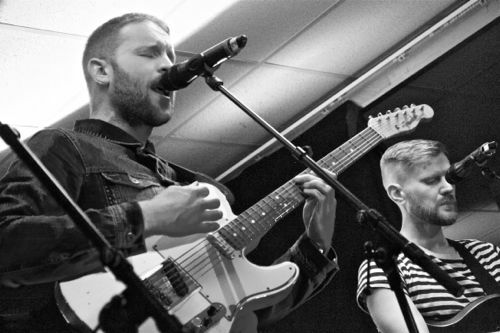 Last year as soon as innovative electro pop act M+A had completed the first of their allotted two songs the audience at Pilton Working Men’s Club near the festival site, knew they had watched the winner. The same happened the year before with the beautiful folk of Bridie Jackson and the Arbour. But this year was different. At least half of the eight acts tonight put forward a great case for being chosen as the winner by the judging panel, that included the festival’s stage bookers and organisers Michael and Emily Eavis. 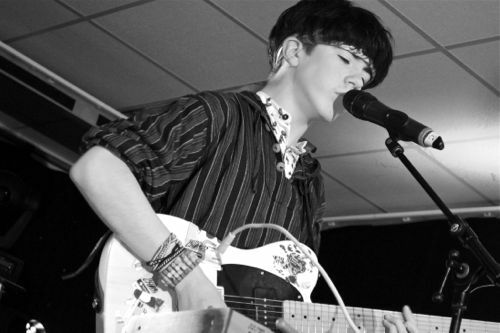 In the end it was 16-year-old singer songwriter Declan McKenna who won. Why did he win in this closely fought competition? The power of a song helped. In Brazil, the first track of his two song set, this bandana clad kid had the best song of the night, an immediately catchy track with a great melody all from him, alone on stage with his guitar, synth and box of tricks for company. Also the focus of the contest, to uncover original emerging talent, shone through. His precocious talent was hard to ignore. If the 16-year-old McKenna can create music like Brazil now then what can he do in five, ten, 15 years time? This boy will go far and the judging panel knew it. If second placed Shields had won there still would have been a worthy winner. Their powerful rhythm section elevating them above the usual indie pop fare. So too with third placed K.O.G. 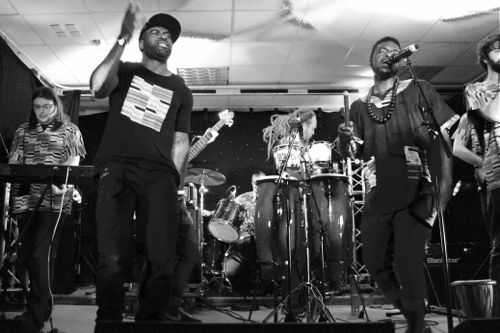 and the Zongo Brigade, who started proceedings with an energetic set combining African music, funk and rap. While the rest of the acts may have lacked the eventual winners’ originality they all were worthy finalists, from the folk of Lucy Kitchen to the well-worked vocal arrangements of Isaac Lee-Kronick. 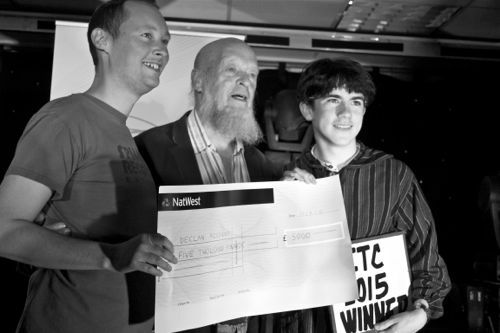 Shortly before presenting McKenna with his prize of £5,000 and a main stage slot Michael Eavis announced that all the acts would be appearing at the festival. It was a fitting end to a contest that continues to impress. 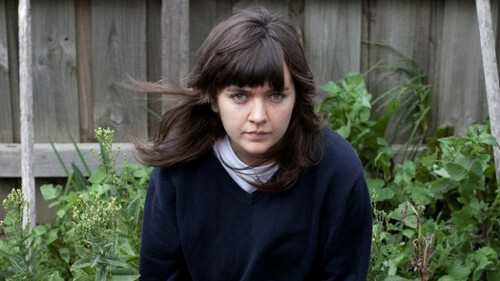 After a double whammy of Jackson Pollock and Andy Warhol at the Nottingham Contemporary Art Gallery it was then on to the Rescue Rooms to see Australia’s latest sensation, the irresistibly dour Courtney Barnett. You like words? She’s got a whole dirty mouthful of them, most of them about feeling vulnerable. Her lyrics are like listening to her casually articulating an inner monologue but done in such a charmingly throwaway manner that tonight’s sold out show becomes a heaving screaming adulation-athon. The next day I feel like I have a large hadron collider inside my head. It was a great gig but I had reservations – namely that the drummer and bassist want to be Nirvana, which meant Courtney’s fabulous lyrics get lost in the rock. That’s right I said rock, as there was me expecting a caustic Joni Mitchell, but instead she came across as more like Patti Smith doing Lou Reed’s Rock n Roll Animal. At least her track Depreston sounded recognisable and Avant Gardener was a blast. Courtney has presence, she can write the best lyrics I’ve heard for many a year, she’s going to be huge and best of all, she appeared in my dreams last night as Arya from Game of Thrones, instead of a guitar she had a sword and she stuck it right in my heart, it’s still there now. Meanwhile, back at Winterfell.